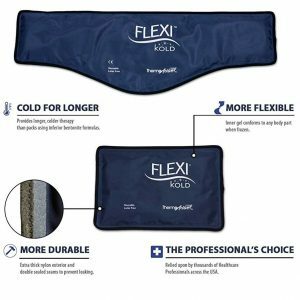 A lightweight alternative to heavy hot/cold packs, the flexible neck wrap provides drug free pain relief and is easy to use. Your neck and shoulders are particularly vulnerable to injury and strain form overworking and poor posture. 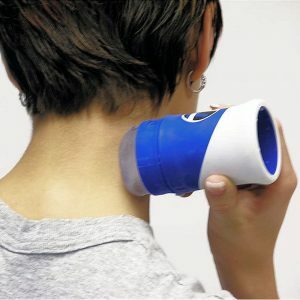 Sore and tight muscles in the neck and shoulders can cause loss of normal motion, making you feel tired and inflexible. 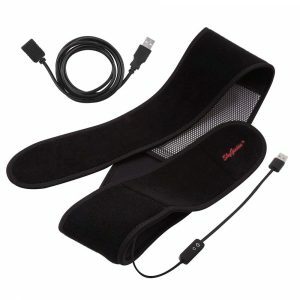 The flexible neck wrap provides therapeutic heat or cold to help reduce pain, swelling and muscle spasm. 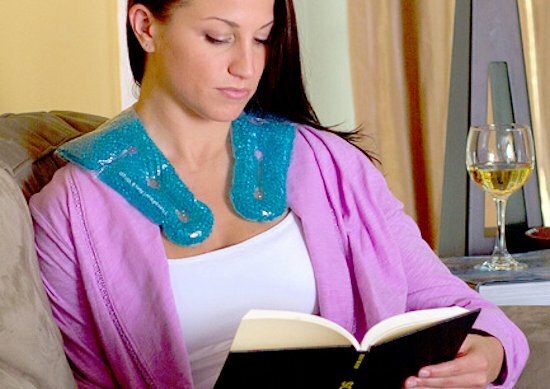 Flexible hot or cold, this neck wrap is u-shaped and is perfect for neck and shoulder pain. It has long sides and a wide back for great coverage. Measures 11.5 inches by 13 inches. The flexibility means you can mold it into a position that is most comfortable for you, even when it is frozen. 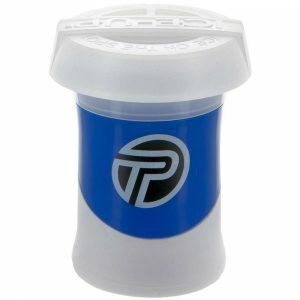 It is also very lightweight and easy to handle at just over 1 pound. 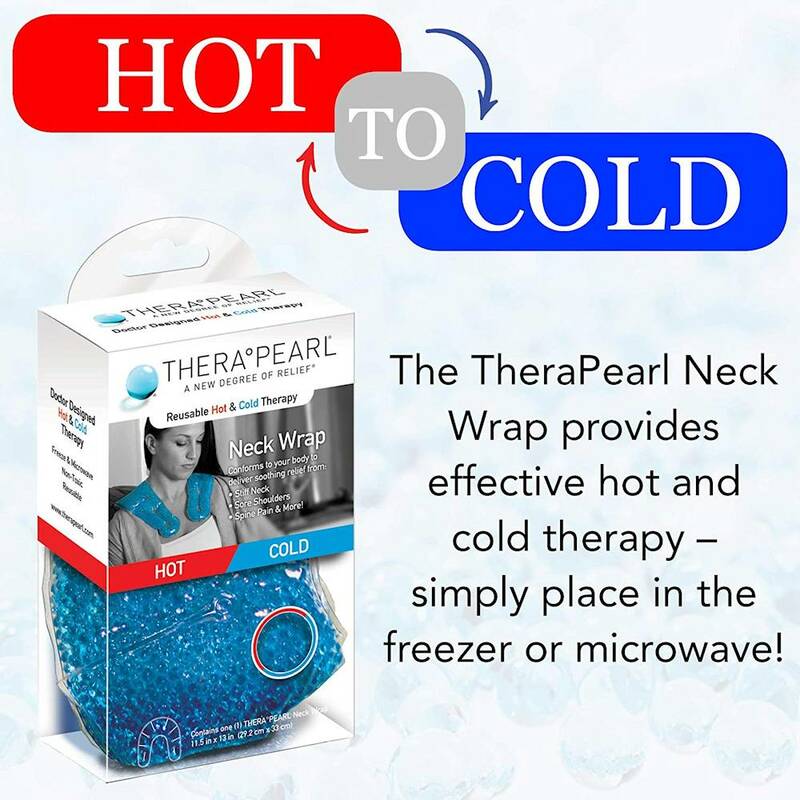 While some like the heavy feel of a neck and shoulder wrap that provides both heat and cooling therapy, many will appreciate the ease at which this wrap is handled. It can easily be used underneath a shirt. It is easily heated in a microwave, cooled in a refrigerator, or frozen in the freezer, where it will maintain the temperature for twenty minutes. 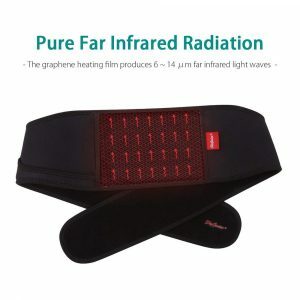 This allows you to cool down on a hot day or from hot flashes, numb the areas for pain relief, or release and soothe tight neck and shoulder muscles with heat penetration. 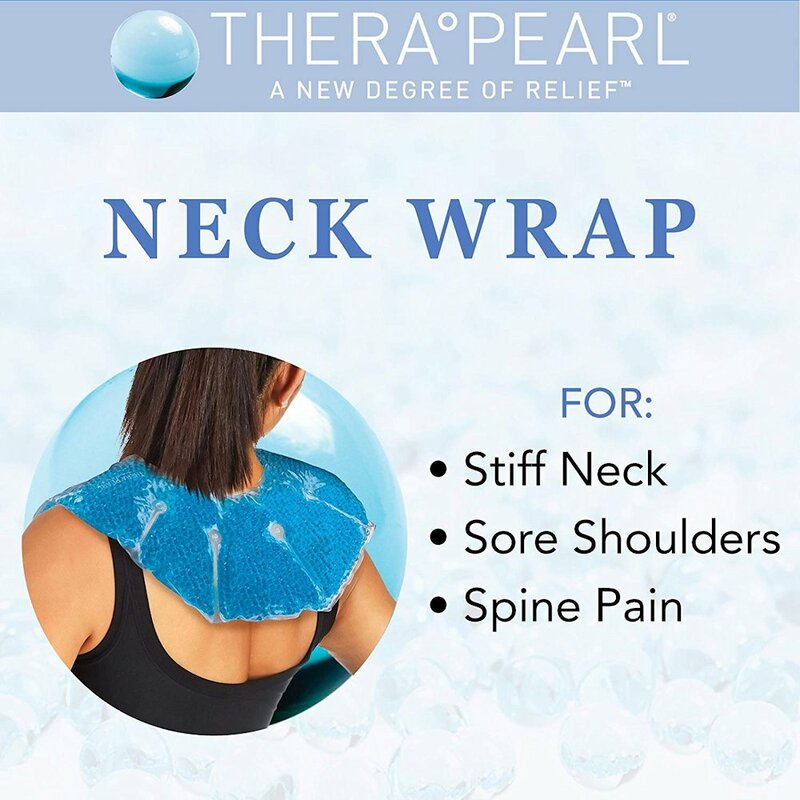 The wrap is designed by a doctor for ergonomic application to the neck and shoulders, where we tend to hold tension the most, and is a drug free method for relief of inflammation and pain. 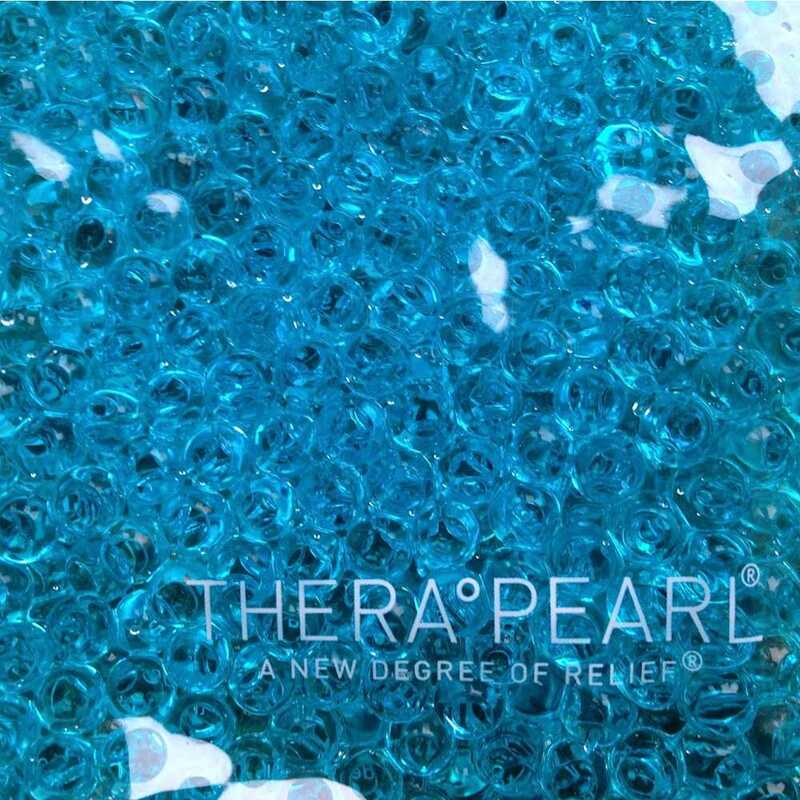 The wrap uses special technology with many individual beads which can absorb and apply cold or heat for 20 minutes, an application time recommended by most doctors for maximum benefit. 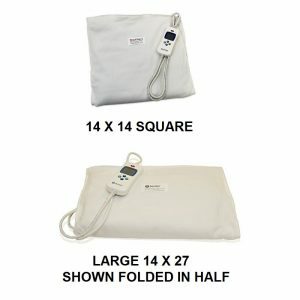 It is an easy way to apply combination therapy where heat and cold is used in combination to double the impact. 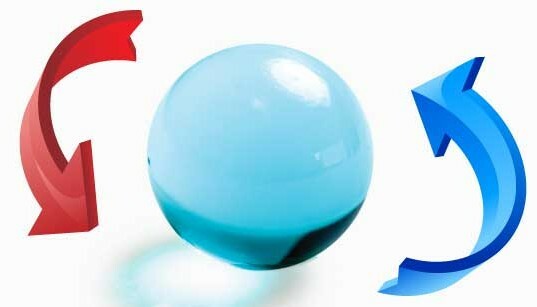 Always start with ice for inflammation reduction and pain relief, the use heat for a more penetrating effect. The wrap should be applied for 20 minutes, then wait 20 minutes and re-apply if necessary. This is for a single heating or cooling session. Alternate cold and heat when combining, suing heat directly after ice. Make sure you freeze the wrap in a freezer 2 hours before first use. Microwave heating is between 40 to 60 seconds, depending on your microwave unit. Test the pack to make sure it is not too hot. If it is not hot enough, re-heat at 5 second intervals. Using ice can help decrease blood flow and reduce inflammation and pain. This is beneficial with recent injuries or a worsening of an older injury. By reducing the inflammation, you can minimize damage from chemicals that cause pain and swelling. 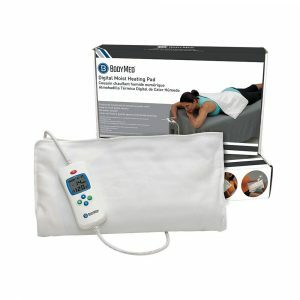 After the reduction in blood flow and swelling, removing the ice pack allows the area to resume normal blood flow with a fresh blood supply that helps flush out painful chemicals. Ice can reduce any bruising and numb the nerve endings for pain relief and decrease muscular spasms. It is good to use after a workout or demanding physical activity to help prevent muscle soreness and joint swelling. Heat helps to increase the flow of blood, which aids in muscle relaxation and increases the flexibility of muscles. When the swelling is removed with ice therapy or after and injury has passed the acute, inflammatory phase (48-72 hours), increasing the blood flow can help promote healing and recovery. Heat can be used before a workout to help loosen stiff muscles as part of a warm up routine to help prevent injury. Filled with therapearls unique technology, the flexible neck wrap is easy to use and a great way to apply both heat and ice to the neck and shoulders. It is a great alternative to heavier, bulkier wraps. 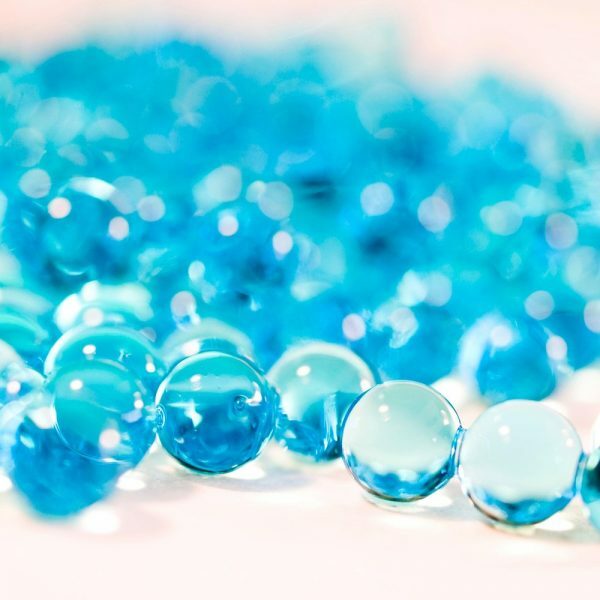 Hypo-allergenic, will not leak and easy to clean. 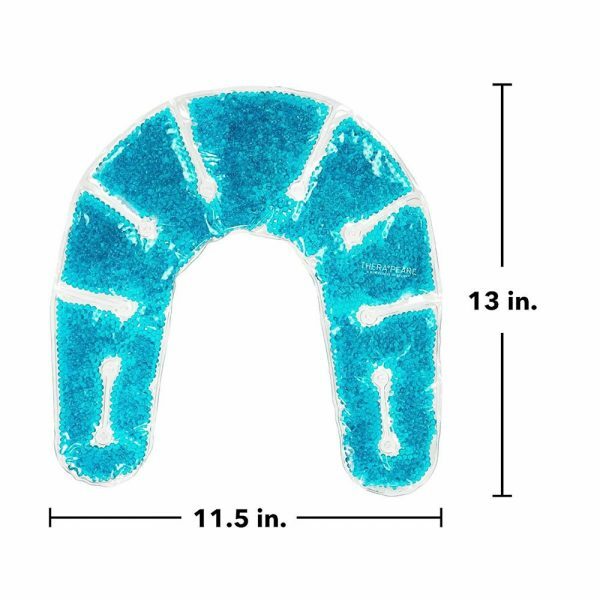 They come in different shapes and sizes to fit any application for a drug free relief from inflammation and pain. This is the neck/shoulder version, but there are also masks to fit your face, wrist, or knee, as well as standard packs for general use.